UPDATE: Our “snoringhq” coupon code will take 10% off your pillow purchase and you can try these pillows for 110 days. Level Sleep is passionate about helping people sleep better so they can enjoy life with more vitality and perform better. Level Sleep began 15 years ago with one man’s troubled and inadequate sleep because of a snoring partner. Committed to solving the problem for both their sake, the inventor Roger took an electric carving knife to the center of her pillow and cut down the center. This carving allowed her head to tilt back during rest. That night, she used the modified pillow. Her head was tilted backward, her air flow was increased, and the snoring stopped! Roger knew he was onto something. Armed with the new idea, and eager to help others struggling with the same problems, Roger contacted Stanford University to arrange a meeting with Dr. Clete Kushida at the Stanford University Center for Human Sleep Research. After meeting with Dr. Clete Kushida at Stanford University, they decided to test the theory. Dr. Kushida conducted a clinical trial and proved the pillow reduced sleep apnea and snoring by 78%. After conducting two more clinical studies and a biomechanical study, Roger joined forces with JJ Abodeely, and together they started Level Sleep. It began with a pillow to help a snoring partner, but Level Sleep didn’t stop there. Over many years they’ve researched, tested, and developed high-quality products to improve sleep. They currently offer the TriSupport Mattress, the TriSupport Luxe Mattress, the TriSupport Topper, the Restore Pillow, and the Restore Lower Body Pillow. Each offering is crafted to support a good night’s rest, decrease pain from poor sleeping alignment, and to increase your health and energy during waking hours. Their corporate office is located at 579 First St West, Sonoma, CA 95476. 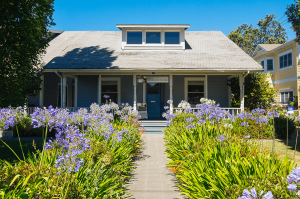 You can try their products at the Level Sleep Experience Center, located at 579 First St West, Sonoma, CA, just south of the historic Sonoma Plaza. The Experience Center allows you to test all their products so you can try before you buy. Level Sleep also has sleep partners across the country that have demo mattresses available who are knowledgeable and can answer any questions you may have. You can order products from any of them and have it shipped to your home. If there isn’t a sleep partner in your area, you can still receive your order, with free shipping, and take advantage of the 110 nights, risk-free guarantee. Level sleep has continued to develop their products through extensive research over the last 15 years. In 2009, they commissioned a 30-person, Institutional Review Board (IRB) approved single-blind sleep trial where participants tested the Level Sleep TriSupport Mattress against their current mattress at home. The study was conducted by Cheri Mah, MS, Sleep Researcher, now at UCSF Human Performance Center and the results proved the TriSupport product line was working. Participants fell asleep faster, woke up with less stiffness and pain, and reported higher levels of energy and satisfaction while using the TriSupport Mattress. Level Sleep has also used an XSENSOR® full body pressure mapping system and compared three leading mattresses against the Level Sleep TriSupport mattress. They mapped, imaged, and recorded the pressure readings of every individual and found that Level Sleep outperformed the other brands. Their products are doctor tested, approved, and recommended. Their products are sold by chiropractors. Level Sleep continues to stay knowledgeable and involved in the medical community to bring the most current, relevant information to anyone interested in improving their sleep. Level Sleep has great online customer support. You can reach them by phone or email, they regularly post well-researched articles on their blog, and are transparent with their clinical studies and recommendations. There is even a chat function online. If you have a question, you won’t need to wait to receive the answer. Designed based on a Stanford University clinical study pillow that reduced snoring by 78 percent, sleep apnea by 24 percent, and an 86 percent reduction in the duration of snoring events. Continual studies have shown its efficacy in a variety of ways. The Level Sleep Restore Snoring Pillow is also great if you wake up with neck, shoulder, or back pain. This pain happens because of the unnatural alignment. The Restore Pillow will ease neck pain with natural neck alignment. Its ergonomic support with a soft center will support the curve and the weight of your head. The Restore Pillow is the only pillow in the current market that has ear holes. These ear holes remove the pressure from your ears and skin to help you sleep easier. As a bonus, the ear holes reduce the bunching of the sensitive skin of your face and neck, which will prevent and reduce wrinkles. 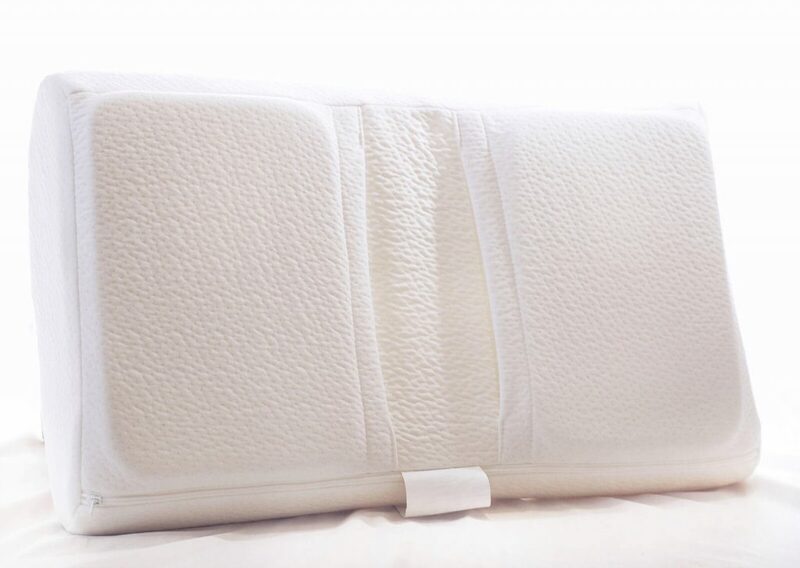 It is best for side and back sleepers; we do not recommend the product for stomach sleepers. Research shows that even if you fall asleep on your stomach, you are unlikely to stay in that position overnight. The height comes in three levels of adjustment, allowing you to select your preferred height from the mattress, improving your comfortability. The neck support is also adjustable. The top and the bottom of the pillow provide different neck support, all you must do is flip the pillow 180 degrees to make the adjustment. The Level Sleep Restore Pillow is made in the United States. Your pillow will be custom made to order in their U.S. factory of quality, non-toxic, U.S.-produced materials. The pillow is highly recommended and has received overwhelmingly positive reviews. In addition to happy customers, it is often used and recommended by physical therapists, doctors, and chiropractors. The cleaning and maintenance of the pillow are very simple. First, remove foam pillow and level inserts. Spot clean the foam pillow with clean, damp cloth and let air dry. Next, place the cover in your washing machine and use the gentlest wash cycle with warm water. Do not use bleach or fabric softener on the fabric. After washing, you can air dry or tumble dry on the low heat setting. The best way to decide is to try it out for yourself! 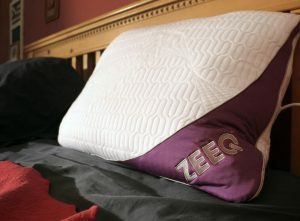 They call it their “No Pain Campaign.” When you order the pillow, it will be shipped free to your door, and if at any time during your first 110 nights you’re not sleeping better and more comfortably, they’ll send a free return label and quickly issue you a 100% refund. They do not require you to pay out of pocket for shipping and returning the pillow! It is a risk-free guarantee and the best return policy on the market for any pillow. They’re so sure you’ll love it, they stand confidently behind their return policy. Your purchase is protected from defects for three years and backed by a full replacement or refund. Because they use the best-of-the-best materials and top-notch manufacturing, they are comfortable with the extensive warranty. Most pillows allow the head to come to rest about 1 ½” from the surface of the mattress. As a result, your neck is not supported effectively. This lack of support causes your neck to be flattened, and your head bowed uncomfortably forward. Doctors, such as Dr. Greenburg of Zyppah, have found that most snoring is preventable. It is the result of the partial closure of the airway behind your tongue. This closure causes a disruption of the laminar flow of the air that is on its way to your lungs. The Level One Sleep Restore Pillow is the solution to that problem. Designed by the clinical trial conducted at Stanford, the Restore Pillow cushions and allows your head to rest in a reclined position. This recline opens the airway behind your tongue and stops the disruption of the laminar flow of air. In the center area of the Restore Pillow there is an adjustable neck support to fit the length and curvature of your cervical spine (neck), so your neck is properly supported. For added comfort, there are three adjustable heights. And with ear wells for side sleeping, you’ll reduce the pressure on your skin. This reduction will stop the skin on your face and neck from bunching and wrinkling. To get 10% your purchase OFF the Level Sleep pillow, use the following coupon code during checkout: SNORINGHQ Feel free to contact the SnoringHQ Team if this coupon doesn’t work or you have trouble ordering. Current Level Sleep coupon codes can be found here. My primary goal with the level sleep was to see how it improves my snoring. However, I was pleasantly surprised to see there are many other nice features to this pillow. Even though the pillow seems like a basic foam pillow, the inside is very soft. It is not a memory foam pillow. There is not much head tilt with this pillow. The backward head tilt is the standard concept on how snoring pillows work, but I was pleased the tilt wasn’t obtrusive. This pillow provides some head tilt, but not so much that it is uncomfortable. I slept well the first night but woke up a few times while trying to sleep on my stomach. My snoring was average. I slept much longer than normal with this pillow, which is a good sign. Even though I woke up, it was brief and my total sleep time overall was long. There is no pain in my lower back, which is often the case when I lay down on a new snoring pillow (spine adjustment). The adjustment period on this pillow is immediate. Pillows with a big backward head tilt, like the Sleep AI Direct pillow can take several days of adjustment. I don’t think the snoring reduction on this is any greater than similar support pillows, such as the Sharper Image anti-snoring pillow. However, this pillow gives you the option to choose your support level. One side of the pillow is a firm support for the neck, and the other side is softer. So, if you are more petite, you would probably choose the softer side. This choice enables this pillow to be an anti-snoring pillow for anybody, large or petite, male or female. Most snoring pillows are large and bulky. Snoring pillows that are made from memory foam simply sink in and reduce your head tilt. To reduce my snoring, I had to sleep on my side. I did this by using a SlumberBump, a device that prevents me from rolling onto my back. This choice was to imitate side sleeping only, as this is who the pillow was designed for. If you are a back sleeper, an anti-snoring mouthpiece or other product to stop snoring is probably necessary, along with a snoring pillow. Buy this if you are a side sleeper. It has a unique, patent-pending design that correctly positions your neck for optimal support and maximum airflow. Adjustable neck support, all you need to do is flip the pillow 180 degrees. Adjustable height support. There are level inserts in the pillow so you can select three different distances from the mattress. Comfortable and breathable ear wells in the pillow. Pressure is removed from the ears and reduces skin bunching and wrinkles on the face and neck. Breathable outer fabric to maintain breathability and maximize comfort. This pillow is not ideal for stomach sleepers. Many sleepers tend to start on the stomach, and move out of that position quickly into the night and side and back sleep the rest of the time. The ear holes may not line up if you toss and turn. There were many times I woke up on my side and my ears were not placed in the ear wells. If you have neck pain, this pillow is worth a try. Level Sleep has a great return policy if it does not work for you, you have 110 days to try it and decide if it’s the right pillow for you. Don’t buy specifically to reduce snoring, unless you are a side sleeper. It is the best anti-snoring pillow for all body sizes and types. It will also work for side sleeper snoring in both large and petite because of the adjustability of the pillow. There are plenty of pillows to buy and try. Read on for the Nectar Pillow review.